Metro Red Tag SALE happens from June 25 to June 30, 2018 at Market Market! 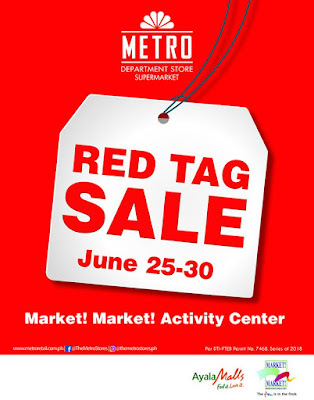 Get great discounts and deals on selected items from Metro Department Store and Metro Supermarket! Head over to Market! Market! Activity Center now!